With this new hybrid with a 24x36 sensor, Nikon comes to face the competition directly, more comfortable in this sector than in the SLR cameras where the Japanese brand shines. This Z7 has many qualities to offer, but it can still be improved. This hybrid case avoids a pitfall too frequent in this category, namely a cramped character: here, the grip remains good and comfortable over time, with a neat and pleasant touch, which prevents slipping or fatigue. While it is rather resistant to splash and dust, the Z7 is not as safe as some competitive models. While the general ergonomics will not surprise Nikon's regular customers, it is necessary to deal with a high density of controls and knobs, which are sometimes also real time savings once mastered, or even straightforwardly customized. The electronic viewfinder ensures a high level of comfort, and the LCD screen is tiltable, tactile and well defined. For the storage of photos, Nikon has chosen the technologically justified but expensive choice of a simple QXD port, fast but which therefore prevents the reuse of an old SD card: Wifi and Bluetooth are also included. The real weakness seems to be the battery, which is modest in its capacity and therefore in its autonomy. In terms of reactivity, the Nikon Z7 is doing rather well, with a start that is rather in the good average, even if the reflexes are more efficient in this field. With a quality lens, we observe an autofocus that follows the subjects well and focuses quickly and reliably. The quality of the photos produced suffers from almost no criticism. Electronic noise is thus rather well managed, even in high sensitivities, with fine details and the right amount of sharpness and dynamism. The small reproach may be a slightly marked coldness in the colour rendering. There is a mechanical stabilization that complements the electronic stabilization for a convincing result. In video, Nikon's delay is confirmed, even if the progress is real: there is still a small problem in the lines and the accentuation, but nothing serious. However, it is regrettable that it is not possible to film in very high definition at 60 frames/second. The autofocus has some difficulty following the faces, but nothing very embarrassing. A question or a problem on the Nikon Z7? Create a discussion and our team will answer you! 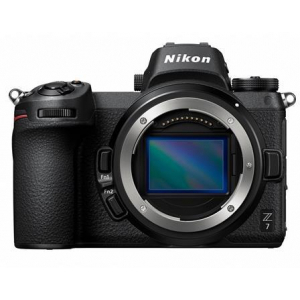 There is no opinion yet, be the first to add an opinion on the Nikon Z7. 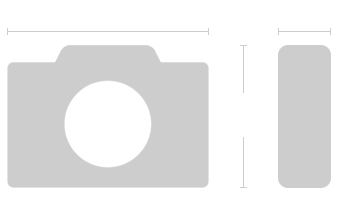 Information from the technical sheet of the Nikon Z7 are only indicative, if you notice an error, please inform us with the icon displayed on the right of each specifications.